Every family has their way of preparing classic dishes. 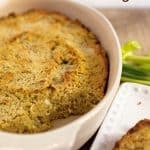 This cornbread dressing recipe is a holiday dish that my entire family loves, but we couldn’t have unless my mother was here to make it. It’s one of those recipes that was never written down and she just made it by taste. 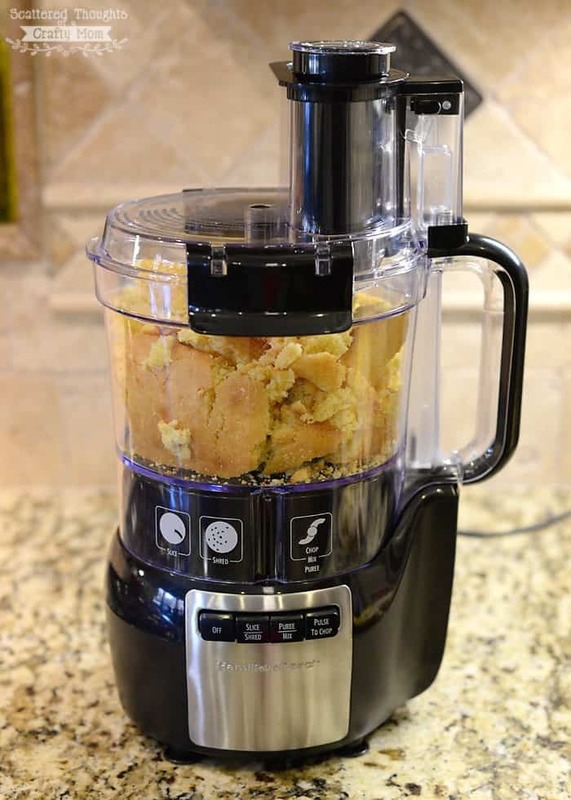 Hamilton Beach emailed me to ask if I wanted to try out their Stack & Snap™ 10 Cup Food Processor and give one away to one of my readers. I was all for it. The food processor I currently use is about 30 years old and holds maybe 2 cups of ingredients. 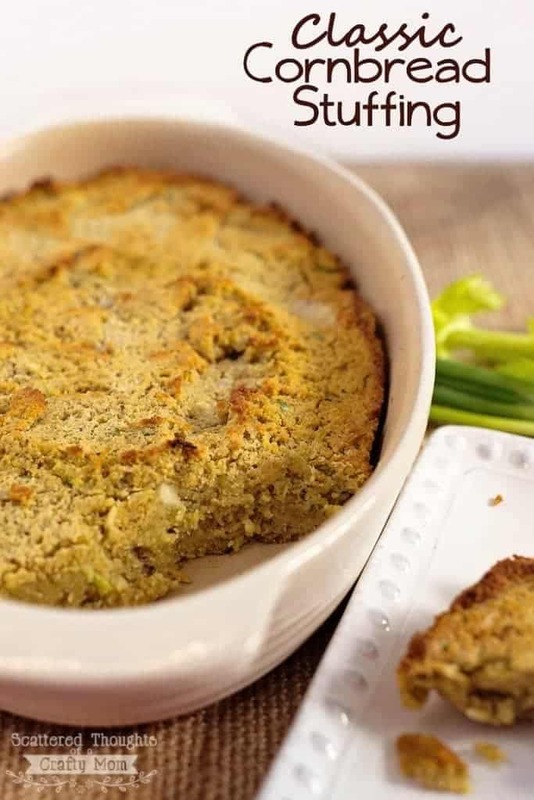 Since my mother was going to be at my house for Thanksgiving, I decided this would be the year I would document the steps and ingredient amount for her cornbread dressing, plus it would be a great way to put the food processor to the test. Check out how much cornbread it holds! The food processor crumbled the cornbread and a couple of hot dog buns perfectly! I’ve not had a chance to try out the slicing blade yet, but I can’t wait to shred some cheese with it! Freshly shredded cheese definitely melts the best. Like this recipe, Don’t forget to pin it! Total Time: 40 minutes plus time to cook cornbread the night before. Prepare cornbread according to package directions. 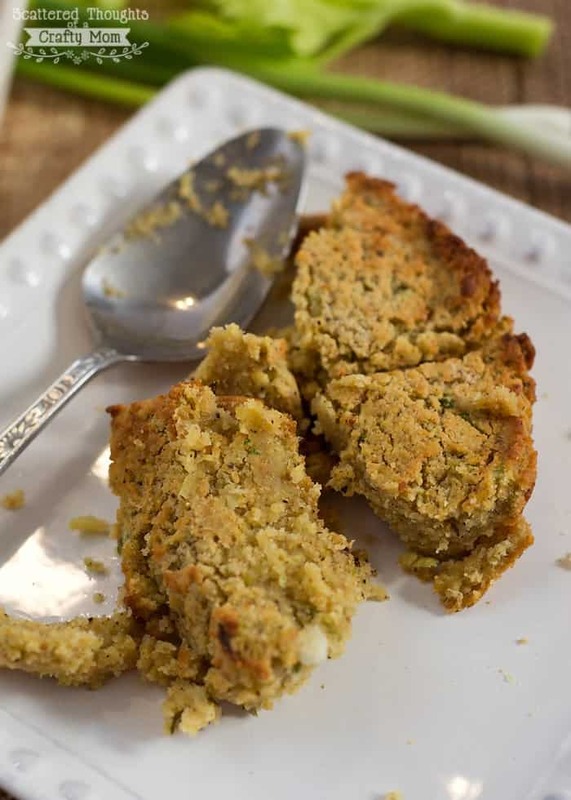 After cornbread cools, break it up into smaller pieces and leave out overnight to dry out. Add hot dog buns to the pan so they can dry out a bit too. 1. Preheat oven to 375. 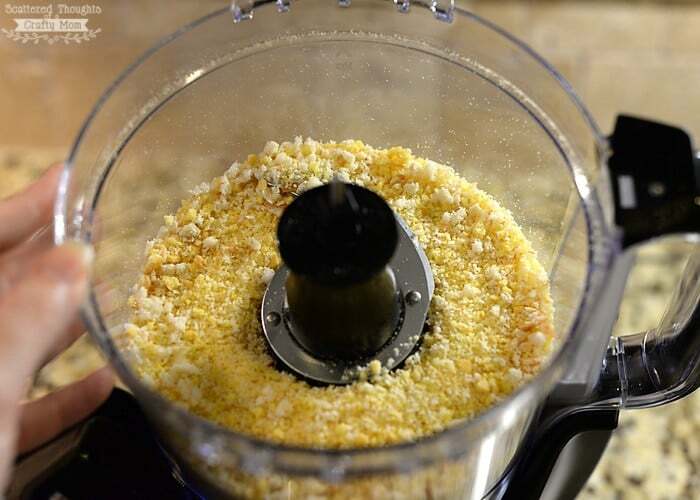 In a food processor, break up cornbread and buns into crumbs. Add crumbs to greased 8 x 11 casserole dish. 2. Finely dice celery and green onions. (I used the food processor.) Add to breadcrumbs. 3. Add spices to bread crumb mix and stir together. 4. Add broth and combine until bread crumbs are completely moist. 5. Spread mixture evenly around casserole dish. 6. 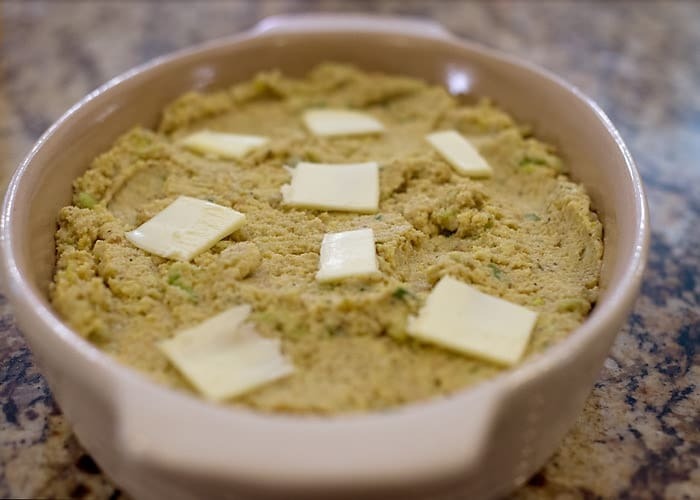 Arrange 6 to 7 pats of butter onto the top of dressing. 7. Bake for about 30 minutes or until golden brown on top. hmm.. its working on my end. You might try again. This looks so perfect! I wish I could take a bite right now! Pinned and tweeted. Thank you for being a part of our party. I hope to see you on Monday at 7 pm. It wouldn’t be a party without you!